Software is eating the world, but hardware isn't dead yet. BlackBerry is getting out of the hardware business, but this isn’t the end of BlackBerry phones—or at least not yet. As part of its quarterly earnings report on Tuesday, the company announced that it would soon end all hardware development. Instead, BlackBerry phone production and design will be outsourced to third parties. “We are focusing on software development, including security and applications. The company plans to end all internal hardware development and will outsource that function to partners,” BlackBerry CEO John Chen said in a written statement. The end of BlackBerry’s hardware division has been a long-time coming. Nearly a year ago, company CEO John Chen said BlackBerry would get out of the phone business if it couldn’t gain any traction with its handsets. BlackBerry was never able to compete after Apple rolled out the original iPhone in 2007; the company never truly appreciated the threat that iPhone-era smartphones posed. 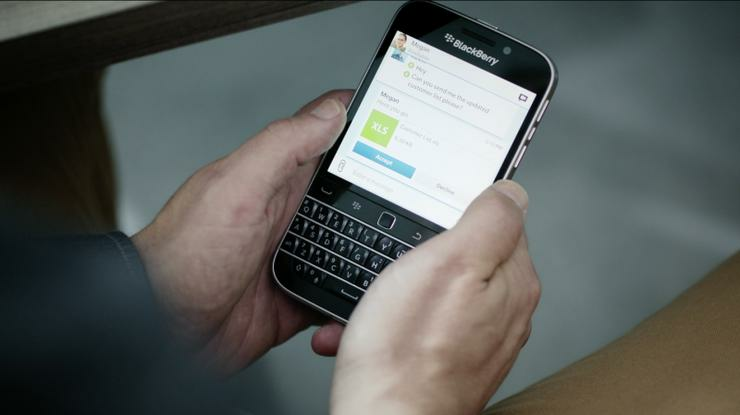 By the time BlackBerry did confront the threat of the iPhone (and Android phones) around 2012 it was already too late. Since then, BlackBerry has tested the waters with several Android phones packed with BlackBerry security and messaging features—the most recent of which was the DETK50. But even becoming a “me-too” Android manufacturer wasn’t enough to win over smartphone shoppers in retail stores and corporate purchasing departments. Now all hardware development will be left to partners. In fact, BlackBerry is already doing that. The aforementioned DETK50 was designed and produced by Alcatel and, as we said in July, looks to be little more than a re-branded version of the Alcatel Idol 4. Hearing about BlackBerry’s new approach to hardware one can’t help but draw a parallel to Microsoft’s strategy for Windows 10 Mobile. Microsoft, too, is leaving hardware development up to third-party manufacturers while it focuses on developing the software. It’s not clear if BlackBerry will be as hands off as Microsoft presumably is at this point. BlackBerry could still have a hand in the development of phones that bear its brand, or expect a line of phones to roll out on a certain schedule. We’ve reached out to BlackBerry for more details and will update this article should the company respond. Whatever BlackBerry’s specific approach is, it sure feels like BlackBerry-branded smartphones aren’t long for this world—no matter who’s making them.